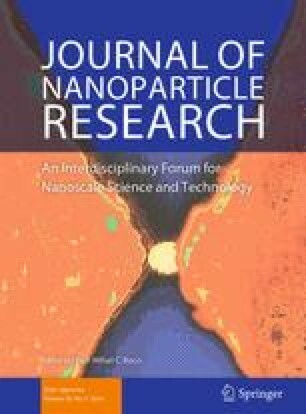 Better understanding the mechanisms of nanoparticle permeation through membranes and packaging polymers has important implications for the evaluation of drug transdermal uptake, in food safety and the environmental implications of nanotechnology. In this study, permeation of 21 nm diameter silver nanoparticles (AgNPs) was tested using Side-Bi-Side and Franz static diffusion cells through hydrophilic 0.1 and 0.05 µm pore diameter 125 µm thick synthetic cellulose membranes, and 16 and 120 µm thick low-density polyethylene (LDPE) films. Experiments performed with LDPE films discarded permeation of AgNPs or Ag ions over the investigated time-frame in both diffusion systems. But controlled release of AgNPs has been quantified using semipermeable hydrophilic membranes. The permeation followed a quasi-linear time-dependent model during the experimental time-frame, which represents surface reaction-limited permeation. Diffusive flux, diffusion coefficients, and membrane permeability were determined as a function of pore size and diffusion model. Concentration gradient and pore size were key to understand mass transfer phenomena in the diffusion systems. This study was supported through the project # E073680, Division of Biochemical Toxicology, from National Center for Toxicological Research, and U.S. Food and Drug Administration. We gratefully acknowledge assistance of the FDA NCTR/ORA Nanotechnology Core Facility, Jefferson, Arkansas, in which part of this study was conducted. The authors thank Dr. Frederick Beland and Dr. Paul Howard for assistance in the review of this manuscript. This article is not an official U.S. Food and Drug Administration (FDA) guidance or policy statement. No official support or endorsement by the U.S. FDA is intended or should be inferred.